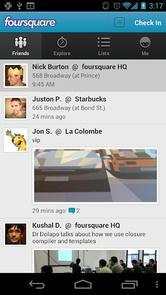 Foursquare, an application that allows people to 'check in' on almost all the places visited, now updated to bring a new look. This new design is quite obviously has a purpose for each person better interact with others. Each page features a photo of the user profile, location, brief biography and contact information. Home display also invites users to better see his friend activity. 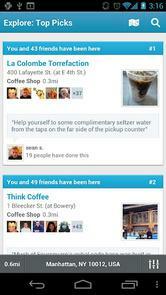 This change seems to really want to Foursquare users 'stickier' and lure users to click around.